Contents insurance is an insurance contract that pays for damage to, or loss of, personal possessions caused by events like fires, floods, burglary and earthquakes. 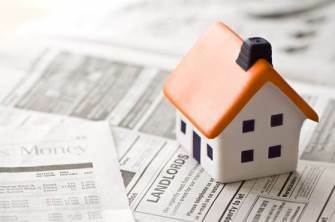 Contents insurance policies are most popular with anyone renting a property. Contents insurance is usually most suitable for anyone who is renting a property and wants to protect their personal property from theft or damage, as well as cover legal liability should you unintentionally damage the home your rent. Policies in our sample ranged from $400 to $600 per year for $25,000 of total cover. With most policies, you'll only be paid out if the contents are stolen or damaged by a burglary or a person unlawfully at your house - you’re not covered if the theft is by someone you have invited into your home. Most policies won't automatically cover for any loss to your any contents removed from your property, i.e. if you leave your phone at a cafe or someone steals your laptop in the library. This includes bicycles too. Policy cost update: In April 2019, we observed a fall in the price of contents insurance in Auckland properties routinely receive quotes for, and because of this, we are currently extending our research to cover multiple cities to understand what contents costs around New Zealand. In this guide, we list a number of tips to help you decide if contents insurance is worthwhile for your possessions, the limitations, the policies available and the costs. Ready To Buy Contents Insurance? Why buy a contents insurance policy? Contents insurance is an affordable way to protect your belongings from theft, damage or loss so that you can replace them. If you would struggle no longer having a laptop, TV, musical instrument, linen, cutlery, even clothing, or even a washing machine, contents insurance is probably a good idea. Most policies also provide legal liability should you accidentally damage other people’s property. If you don’t have contents insurance, you may have to pay for the damage out of your own pocket, which can mean considerable debt. For example, if you break something in a shop or spill a drink over a friend's laptop, you are legally liable for the damages - contents insurance protects you from such financial loss. ​What does contents insurance cover? The general rule is this - if your house was turned upside down, anything that falls out of it is contents. Based on that, contents insurance covers furniture, clothing, electrical items, money and jewellery up to your sum insured. New Zealanders take out contents insurance for many reasons, and with reports of burglaries at record highs and rising, a policy is the only way to protect yourself from the unpredictable. 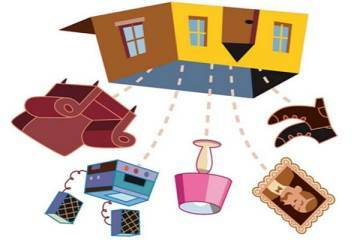 Contents insurance protects you from financial loss if you have to pick up the pieces after a break in. Your stuff is your business and whether you insure it is a personal choice. If you've got an expensive camera, phone or musical instrument and don't want to risk having to replace it if it gets damaged or stolen, contents insurance could be an idea. 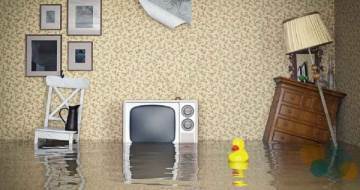 When you rent a property, the landlord's insurance will not cover your belongings. With hundreds of thousands of Kiwis renting their homes, contents insurance provides that safety net from the unexpected. Every policy differs; don't assume you'll be covered without reading the fine print. Contents insurance policies range enormously in how much they offer, and our Best Buys section below picks out the policies that offer the most at the right price. Apartments are generally seen by some insurers to be more secure than a house. Access is harder, there is often more security and it's just harder to break in. For this reason, if you live in an apartment you should expect a cheaper quote - make sure to mention this when you are entering in your details. If you have a history of dropping phones, spilling water on laptops or consider yourself clumsy in general, it may be an idea to buy contents insurance that covers 'accidental damage'. When getting a quote, insurers will ask what you want cover for. Many policies will provide accidental damage cover, or will provide the option to upgrade the cover to include it. Accidental damage can be more flexible when it comes to what an 'insured event' actually is, and this can often reduce the risk of a claim being rejected. Only your contents are covered by your policy. While this sounds obvious, it isn't to everyone. For example, the TV you share with your flatmate isn't covered if it belongs to him even if you own the DVD player or have the Netflix subscription in your name. Insurers love being paid upfront, so if you know your living situation won't change in 12 months, you can likely save 10%-20% by paying upfront. It may be a cash hit but it's free money by way of savings, and if you do cancel the policy later on the unused months are fully refundable. Some policies allow situation changes, such as moving property, if you have prepaid for a year. In such instances, the insurer will usually either quote an additional amount to pay or issue a refund if the new premium is lower. Your address - some insurers assess certain cities or areas to be riskier, and like-for-like comparisons suggested Auckland addresses, for example, could pay 5-10% more for than regional addresses for the same level of cover. Whether you live in a house or an apartment - contents cover for items in apartments can be cheaper (but not always). Your age - generally (but not always), the younger you are, the more expensive your policy - so a 22 yo pays more than a 50 yo. If you have existing contents insurance - insurers like to see a history of behaviour, so if you have had insurance before, some insurers offer lower quotes compared to someone taking out contents insurance for the first time. The number of flatmates you have - this can be a factor; generally the higher the number the higher the risk, and the more you will have to pay for a policy. 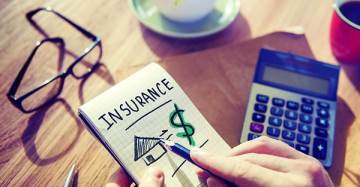 What information do I need to provide to an insurer to get a quote? The insurer needs to know a few details before being able to quote. The process is simple, and requires entering basic information about the property and providing some simple numbers and dates. Getting the right level of cover will depend on what you own. If you have 'valuable items' such as works of art, jewellery (including watches) and any gold or precious metal items, you will be covered to the dollar limit that is stated in the policy. It's a good idea to let the insurer know about any high-value items, or ask them about any limits they have. This will help determine whether things need to be specified on the policy. It's a good idea to keep receipts or to take photos of receipts and store them electronically. If you need to make a claim later, having these on hand will save time for you and your insurer a lot of time. To insure for the right amount of cover, it's a good idea to make a list of all of the valuables you want to be covered - look at the total valuables limit offered by each policy to make sure your items will be covered. If a treasured jewellery piece is worth $20,000 but the individual item payout limit is $5,000, you'll need to find a better policy. Once you’ve become familiar with the basics and have decided to get contents insurance, it’s time to get the best quote for what you need. Unlike travel insurance or life insurance, there are no price comparison websites for contents insurance. 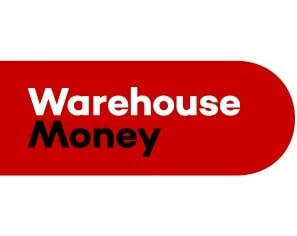 We have put together a number of quotes from AA Insurance, AMI, AMP, State, Trade Me Insurance, Tower and Warehouse Money for a someone living in a standard house. We have covered all major cities, and some regional locations, to help everyday New Zealanders to understand the options available and make it easier to pick the right policy, while reducing the chance of overpaying for cover. Make sure the policy quote offers the right level of cover, and consider what excess levels or extra coverage you are happy with. Generally, a higher excess coupled with lower coverage (in dollar terms) equals a cheaper quote, but it's essential to make sure the cover level is sufficient when buying contents insurance (or any insurance for that matter). If you have the right level of cover, you can pay less for a policy by choosing to have a higher excess. But it's important to make sure you can afford the excess if and when you need to make a claim. Well known insurers such as AA Insurance, AMI, AMP, State, Trade Me Insurance, Tower and Warehouse Money all sell contents insurance. 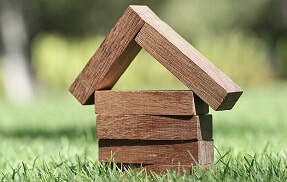 We obtained quotes for two example properties and specified a set level of contents cover for a 30 year old male living in properties around the country. Policy excesses differ between insurers, and we have selected policies as close to $250 as possible (some insurers have a minimum excess of $300, making a like-for-like comparison impossible). We remind readers that the excess difference should be taken into consideration when purchasing a policy. Overall, our view is that all insurers offer similar coverage, with Tower and AA Insurance offering the most comprehensive benefits in their respective policies. A 30 year-old male, living with three other flatmates (non-family members) rented from a landlord, in a 1970s double brick property, with no previous or existing insurance (therefore no claims history). The property has no burglar alarm, no special lock features, nor any history of property damage. $25,000 of contents insurance, with no additional item cover. Annual policies, paid twelve months in advance. Contact your insurer and give the full details of what happened. They may ask for proof of ownership and a police report. It is likely they will ask you to complete a claim form - submit this as soon as possible with all the paperwork they require. Refrain from repairing or replacing the item(s) you are claiming on - your insurer will always need to provide permission. Your insurer should inform you, in detail, why the claim was rejected and how it falls outside your policy. If you disagree, jump on the phone and explain why your claim meets the T&Cs of the policy you bought. If the insurer still refuses to cover your claim, ask your insurer for a "letter of deadlock". This letter lays out why the insurer disagrees with your claim. Once you have the letter of deadlock, you can access the Insurance & Financial Services Ombudsman Scheme which resolves disagreements between customers and their insurers. Their free-of-charge service will make the final decision about your claim and order the insurer to pay out if they find in your favour. If your insurer isn't a member, you can complain to Financial Services Complaint Ltd who follow a similar process.